Methane ice worms. 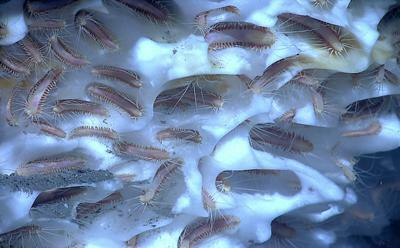 Credit: NOAA Okeanos Explorer Program, Gulf of Mexico 2012 Expedition. New research, led by the University of Southampton, suggests that the release of methane from the seafloor was much slower than previously thought during a rapid global warming event 56 million years ago. The study, published in the journal Geophysical Research Letters, could allow scientists to better understand the potential effects of rising ocean temperatures worldwide on current and future climate change. During the Paleocene-Eocene Thermal Maximum (PETM), temperatures in the deep ocean rose by about five degrees Celsius and sea surface temperatures increased by up to nine degrees Celsius. This hot period lasted for about 100,000 years and caused the extinction of many species. Based on evidence from tiny fossils deposited in sediments at the bottom of the ocean, which record information about the chemical composition of the ocean in their shells, current theories suggest that at the same time as the warming there was a massive release of methane gas from the solid earth into the ocean and atmosphere. A large proportion of the Earth’s methane is stored beneath the oceans in the form of an ice-like material called hydrate. This hydrate can melt if the ocean above warms, and melting of hydrate provides a widely accepted mechanism for the methane outburst. However, the research from the University of Southampton and the National Oceanography Centre casts doubt on this mechanism. Using computer models of the warming process, the researchers simulated the effects of PETM ocean warming on sediments that may have contained methane hydrate and tracked how methane transport mechanisms would have affected its release into seawater. Professor Tim Minshull, from Ocean and Earth Science at the University of Southampton and lead author of the study, said: “Our results show that hydrate melting can indeed be triggered by ocean temperature change, but the result is not necessarily a rapid outburst of methane. “To explain the geological observations by melting of hydrate, much more hydrate must have been present globally than is perhaps reasonable for such a warm late Palaeocene Ocean,” said co-author Professor Paul Wilson, Head of the Palaeoceanography and Palaeoclimate Research Group at the University of Southampton. “And special transport routes would have been needed - perhaps cracks and fissures - to allow the methane to rise to the seabed quickly,” he added. Professor Minshull said: “Our findings challenge the hypothesised role of methane hydrates for the PETM. They raise important questions about the potential for breakdown of present-day methane hydrates to exacerbate climate change, though current warming rates are much higher even than those during the PETM. 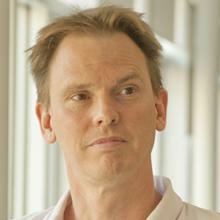 Professor Timothy A Minshull is Professor within Ocean and Earth Science, National Oceanography Centre Southampton at the University of Southampton. 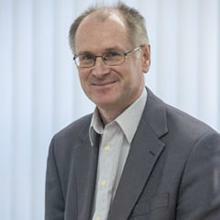 Professor Paul Wilson is Head of Palaeoceanography and Palaeoclimate Research Group, Professor within Ocean and Earth Science, National Oceanography Centre Southampton at the University of Southampton.